Spring is officially here. The winter snow showers and blues are finally gone. The temperature’s started to increase and the trees are budding. Birds are hatching and new life is forming. Nature is ready for the warm spring season ahead, but is your mobile home ready? Don’t fret if it’s not! In this guide, we’ll take you through 7 simple things to help you get your mobile home ready for this spring season. We’ll go through simple tasks like de-cluttering, checking the roof for leaky spots and cleaning the old air conditioning unit. It’s time to roll up those sleeves, fire up the lawn mower, buy your supplies, grab a trash bag and get to work! Image courtesy of Emily May Licensed via Creative Commons 2.0. Chances are you’ve been hoarding things during the winter season and haven’t had the time to go through them. You’ve let the mail pile up on the counter, among magazines and other paperwork. 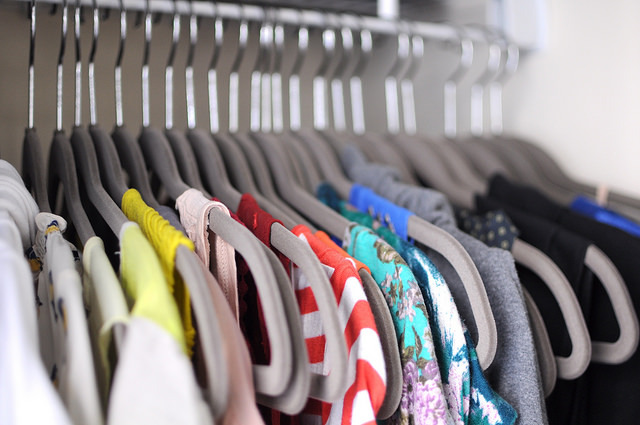 Your closet is full of fuzzy sweaters and things you thought you’d wear regularly, but only wore once. The cupboards are stuffed with Tupperware and only half of the containers have matching lids. Let’s be honest, some organization is needed. It’s time to make a plan, sort through your stuff and donate the things you don’t need. Don’t attempt cleaning and organizing your whole mobile home in one sitting. You’ll end up rifling through every room in the house and leaving most of it in a state of disarray, equaling chaos and stress. For some peace of mind, attempt one room at a time. You’ll feel more accomplished, as you mentally check off the boxes for each completed room. After you’ve decluttered, you’ll also feel great about donating your gently used goods. You might even find some money in pockets of those old shorts you haven’t worn since last spring! Now that the snow has melted, everything that was hidden in the snow is currently stuck in your gutters. The dried leaves, those small thriving plants and that ball your neighbor’s son Johnny lost have got to go. After you’ve cleaned out the junk, it’s time to get down to business and check those gutters! To start, ask yourself: Are your gutters leaking? If so, you may want to consider buying some new ones. At Mobile Home Parts Store, we carry two different styles of mini gutters perfect for your mobile home. One style is precut for your convenience, at a higher price. The other style is uncut, free for you to cut yourself to fit your mobile home. 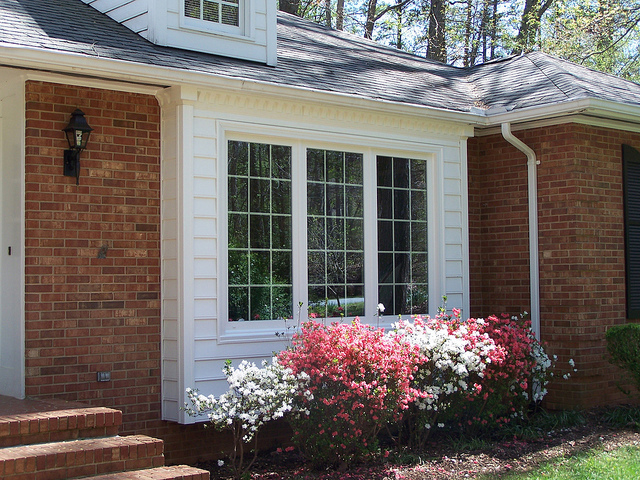 Both styles will easily channel rainwater away from your doors and windows, while looking great! 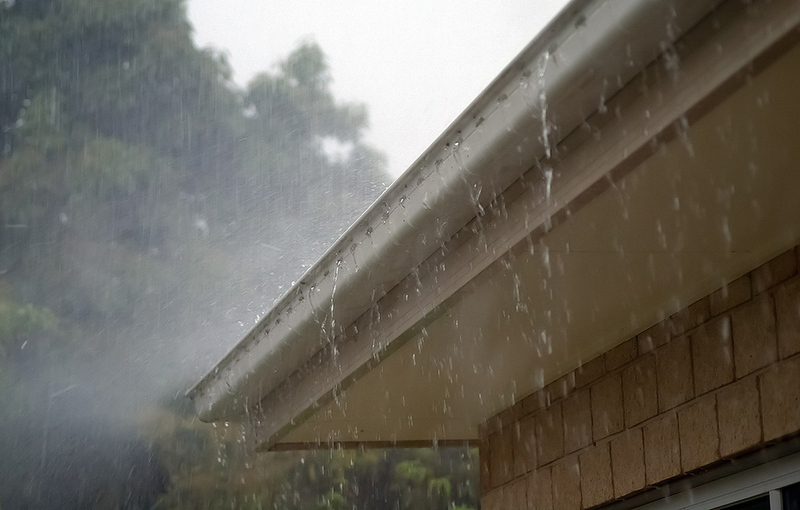 After you’ve replaced your leaky gutters with some spiffy new gutters, ask yourself: Are my new gutters attached properly? If they aren’t, you’ll want to put in a couple of screws to secure them into place to ensure they stand a chance against the next heavy rain shower. After they’ve been installed properly, make sure the down spouts face away from your foundation to prevent future foundational damage. Even though the snow is gone, storms still persist in the spring season. Lightening will flash, the wind will howl and the rain will pour. Is your mobile home secure? 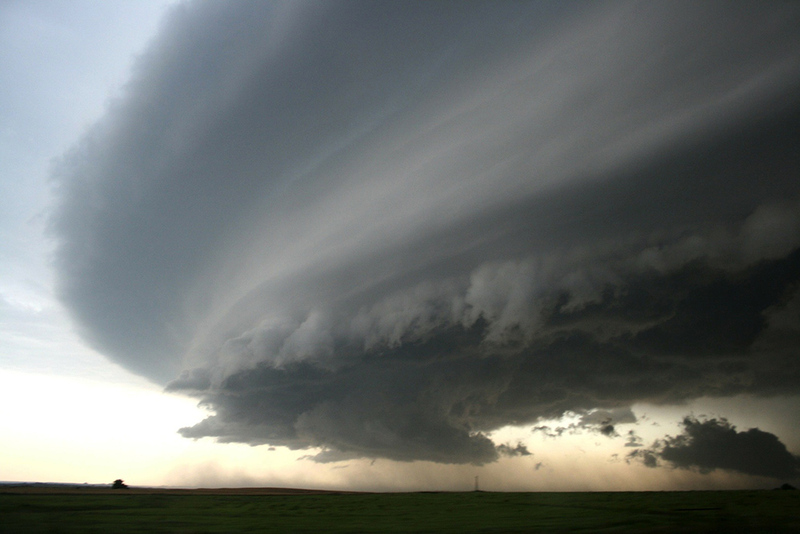 Have you taken precautions to make sure it will outlast even the strongest of storms? Your mobile home deserves protection. After all, it’s not just a house; it’s a home. If you don’t already have them installed, tie downs are a definite necessity. They’ll safely keep your mobile home in place. At Mobile Home Parts Store, we carry a variety of tie down options, as well as hooks, anchors, piers and pads. These options will not only keep your home in place during stormy weather, but also during an attempted burglary. You’ll breathe a sigh of relief during the next big storm, knowing your home is safe and sound. When was the last time you checked the electrical outlets, cords and sockets throughout your mobile home? Chances are it wasn’t yesterday. 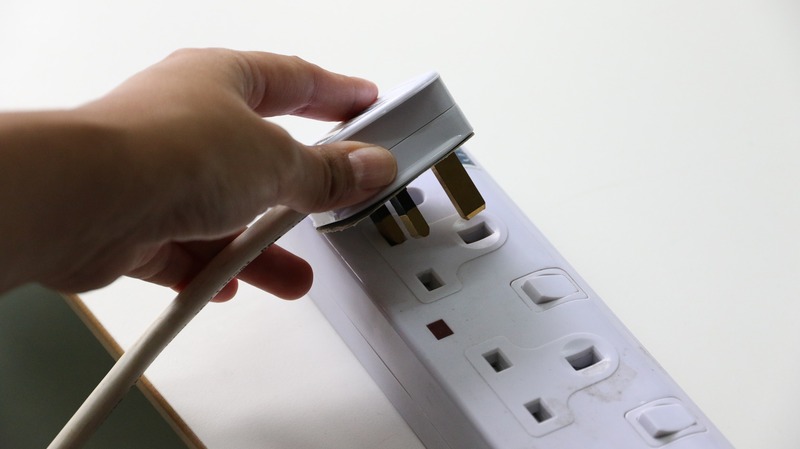 To avoid a potential fire hazard or frustration when the TV doesn’t work, save yourself some stress and spend an hour or two going through the sockets in your home. To start, go through each individual room in your house. Double check each outlet and follow this guide. It will show you how to go through the outlets in your home, taking your time to repair the outlet yourself if you find a dud. The guide includes simple step-by-step instructions and a video. If you want more information on DIY mobile home repairs, check out our article here. At Mobile Home Parts Store, we sell a plethora of electrical and lighting products. From circuit breakers, to switches and receptacles, we’ve got you covered! So what are you waiting for? Get glowing! Image courtesy of ntm1909. Licensed via Creative Commons 2.0. Is your mobile home’s exterior looking a little lackluster? Do you wish you could brighten it up? If you do, spring is the best season to pamper your mobile home’s aluminum siding. By using a gentle, but effective cleaner, you can remove the oxidization and dirt built up on your siding. Better yet, a high quality cleaner will renew your siding’s shine in no time! To start, choose a high quality aluminum cleaner. At Mobile Home Part Store, we sell a variety of mobile home cleaners—including an aluminum care wash. It works on painted or unpainted aluminum and thoroughly cleans mobile homes and other surfaces. You can use it on your RV, vehicle rims, canoe and more! It cleans metal, plastic and fiberglass surfaces. 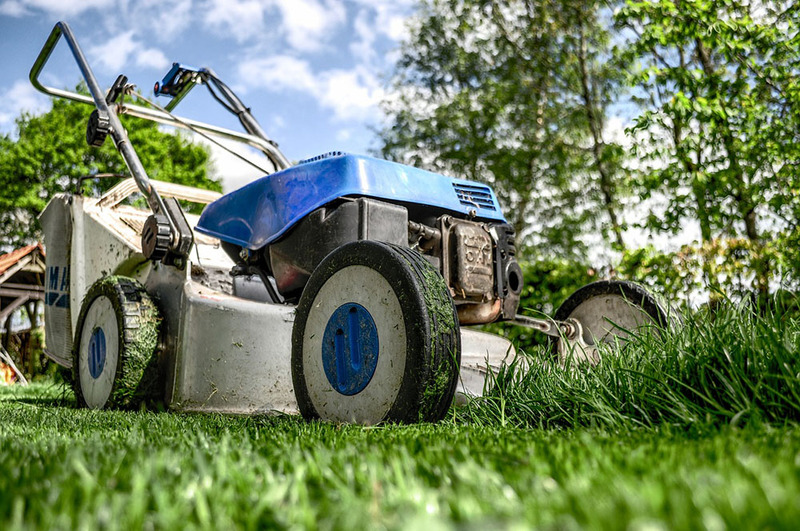 Before using the cleaner, hose down your mobile home’s aluminum surface. You don’t want any bird droppings or mud getting in the way of your aluminum care wash. Mix your high quality cleaner with water; 4 ounces of cleaner with one gallon of water should do the trick. Then dip a soft bristled brush or a sponge into the soapy solution and scrub your aluminum surface until clean. Finally, rinse the aluminum surface thoroughly before the solution dries. Spring is a great season to check your mobile home’s roof. After roughing it through the winter season, it’s definitely seen its fair share of inclement weather. Weather like wind, hail, snow and sleet can really damage a roof. They cause problems like warping, bumps and leaks. Yikes! 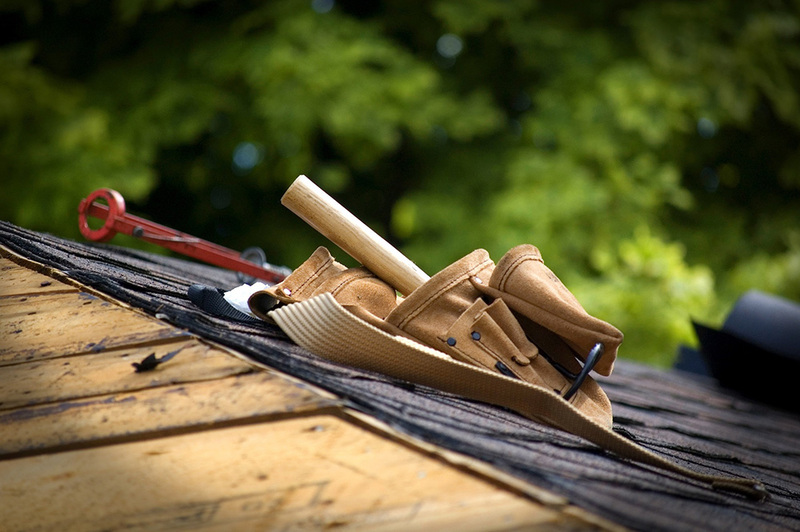 To find out if your roof is in need of repair, grab a ladder and climb up to inspect it. Then ask yourself: Is it in good condition? Does it seem stable? Is it warped? If the answer to any of these questions is a “yes”, you’ll want to consider fixing your roof. Depending on the size of the problem, a contractor specializing in mobile home roofing repairs may need to be contacted. If you have a small problem, like a leak, you may only need to patch your roof. At Mobile Home Parts Store, we have a variety of roofing supplies—including a rubber roof patch kit. The kit can be used as a fast and easy way to mend your mobile home’s rubber roof. Some of our other available roofing supplies include: roof coating, Peel & Seal, rumble buttons and butyl tape. The best time to clean your air conditioning and heating systems is in between the winter and summer season. So spring it is! You’re no longer using your heat because the weather has warmed up, and you’re not using your air conditioning just yet because the heat isn’t extreme. The timing is perfect! To clean your heating and cooling systems, you’ll want access to the coils. These can be easily accessed by unscrewing the unit’s exterior panels. After you have access to the coils, spray them with a coil cleaner and degreaser. Make sure to vacuum the foam afterward and rinse well with clean water. 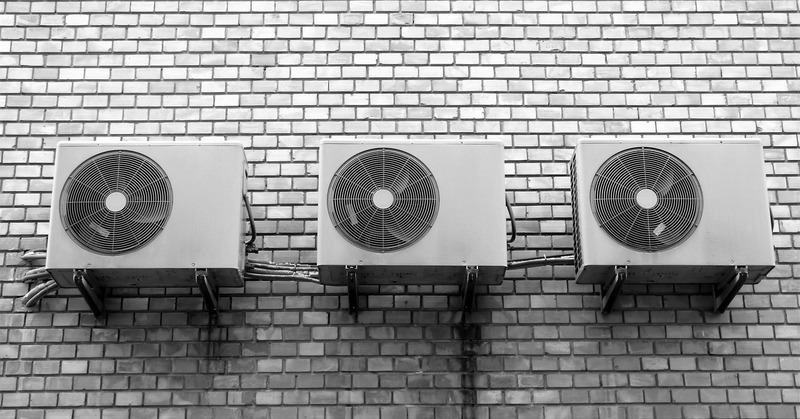 Check out this guide for more information on how to clean your heating and cooling units. At Mobile Home Parts Store, we have an excellent coil and fin cleaner sure to degrease and remove the hardest of water deposits. Aside from deposits, it also removes dirt, dust, lint and grease from air conditioning and heater coil fins. It contains no harsh fumes and increases energy efficiency, meaning you’ll spend less money on heating and cooling! Rather than exhaustively trying to accomplish all your spring cleaning in one weekend, try breaking it into several weekends. Spend one rainy weekend inside your mobile home, organizing your closet and checking your electrical circuits. Save the warm sunny weekends for examining the outside of your home and checking your gutters and roof to ensure your home is spring ready. After you’re finished, kick back in your favorite lawn chair and relax with an ice cold lemonade. This entry was posted on Friday, May 5th, 2017 at 1:57 pm	and is filed under Uncategorized. You can follow any responses to this entry through the RSS 2.0 feed. You can skip to the end and leave a response. Pinging is currently not allowed.